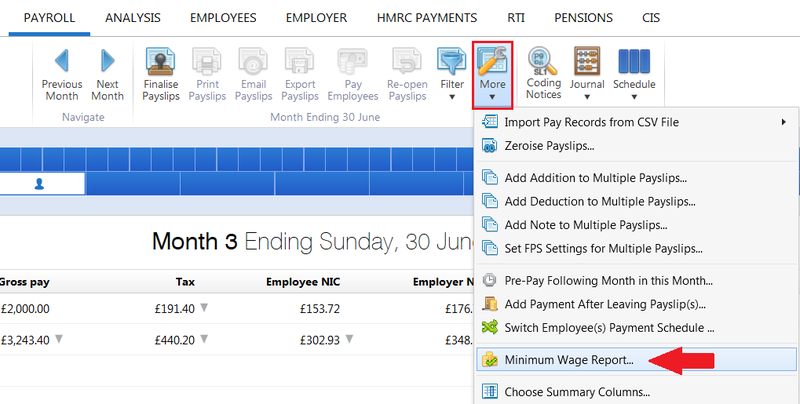 To help with non-hourly employees (or for workforce reporting in general) there is a feature in 'Payroll' > 'More' > 'Minimum Wage Report'. This allows you to enter/confirm the number of hours worked for each employee and generate a summary to see who passed minimum wage and who didn’t. Press Continue to see the result for each employee i.e. pass or fail.